Ringgold Middle School participated at the Ann Richards Middle School UIL TMSCA Invitational Meet on Saturday, October 30, 2010. RMS competed against other middle schools from the Valley. 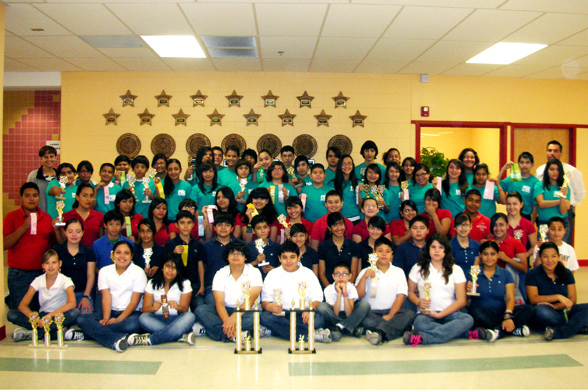 The students did excellent by winning many trophies and ribbons. Overall, the RMS UIL team received 1st place sweepstakes in all categories: 6th Grade Category and 7th & 8th Grade Category. RMS administration wishes to express a big thank you to the UIL parents and UIL coaches for their continuous support. Congratulations to the RMS UIL team!